Izhar Buendia’s story is one of both inspiration and the desire to achieve something different. Growing up in New Jersey, Izhar was home-schooled from the second grade through high school. This educational upbringing, he believes, instilled in him a sense of possibility and confidence in being different. Izhar describes how he would spend his time building treehouses, directing documentaries with his sister, running an amusement park for his family, and reading entire book collections at the library on topics ranging from sports to magic. “I had this perspective that nothing was impossible, and I think maybe the homeschooling helped protect and create a safe place for that,” Izhar said. Izhar, whose parents immigrated from Ecuador, is a first-generation college student. Despite that, he explains how his parents instilled in him the values of creativity, boldness, and growth through constant learning at a very young age. At age 17, Izhar’s family moved to Arkansas, where he enrolled in a media program at a small Christian non-profit college. After completing his associate’s degree, he joined the college’s first-ever media department as their Media Director. During that time, Izhar became interested in web technology, which was beyond his training in media production. 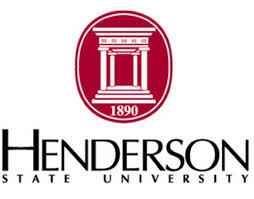 As a result, he transitioned to Henderson State University in Arkansas to pursue a bachelor’s degree in Communications, an unconventional route where he could integrate this interest with a more human-centered approach. During school, Izhar also established his own web design business, BuenCreative. His client base from around the US included a speaker who was seeking to create an online archive of his talks and a chef who was seeking to offer his culinary services online. Through the McNair Scholars Program, which provides graduate-level training to groups that are traditionally underrepresented in graduate education, Izhar began thinking about the possibility of graduate school. Around that time, an acquaintance reached out to Izhar for help with a start-up in Chicago. While he didn’t have time to work on any projects then, they eventually met in Chicago during one of Izhar’s school trips. This was the meeting that introduced him to the culture of startups and incubators. “I was so impressed by how passionate people were about bringing an idea forward,” Izhar recalls. Coincidentally, Izhar’s acquaintance was a UMSI graduate, and from there he began looking into programs on Human-Computer Interaction. 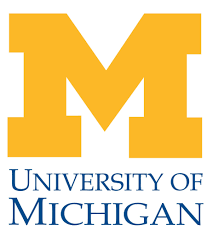 During his first semester at UMSI, Izhar remembers struggling with his identity as a first-generation college student and finding his place at U-M.
That initial apprehension, however, gave way to remarkable involvement in the UMSI and local communities. Izhar spent his first year serving as one of two students on the MSI Committee, working with faculty to discuss curriculum changes and addressing concerns on behalf of all MSI students. He was also President of Campus Hope, a Christian student organization at U-M, and the VP of Networking for a non-profit youth conference, in which he provided programming for conference attendees to network during and after the event. Last January, Izhar began interning at General Electric as Intern Co-op within the Advanced Manufacturing and Software Technology Center. Since then, he has been working as a UX Designer in addition to leading design workshops and helping the company adopt a new culture of risk taking and creativity. He was recently awarded GE’s Above & Beyond Award as a result of his efforts. 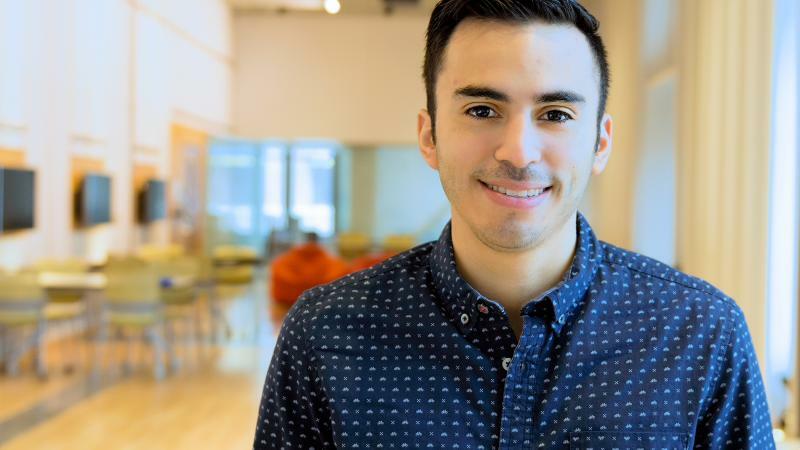 Now a second-year MSI student, Izhar is working as a User Experience Intern with GE’s High Impact Innovation Team, where he will be designing for an internal networking application to be used by all 300,000 GE employees. Izhar is also part of the new SI Leadership Series, where student leaders attend training sessions throughout the year on topics such as conflict resolution, consensus building, self-awareness and management. He plans to participate in UMSI’s Alternative Spring Break this year, where he will spend a week in Washington D.C. digitizing documents for the U.S. Copyright Office. ~ Story originally posted on UM School of Information website.